You’ll soon be able to wash down your Big Mac with a cold draft beer … if you live in South Korea, that is. Facing fierce competition from casual dining and gourmet burger restaurants, McDonald’s has revealed it will start serving draft beer with its “premium” burgers at its newest restaurant in Seongnam, near the South Korean capital city of Seoul. 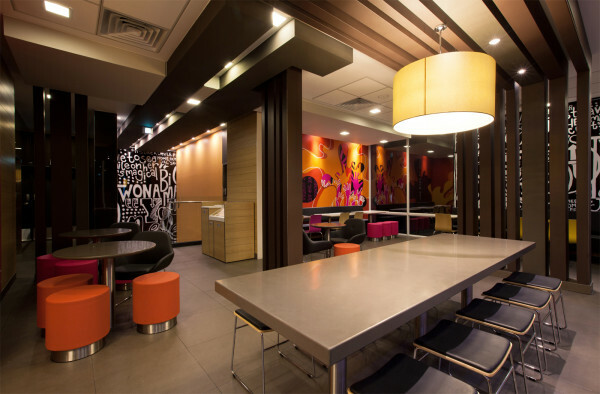 Alcohol has been on the McDonald’s menu for some time now in select European countries including France, Germany and Portugal, but this will be the first McDonald’s to serve alcohol in Asia since the 2004 closure of its Fenwick Pier restaurant in Hong Kong. A “premium” McDonald’s restaurant in South Korea. We’re loving it. The restaurant, which opens February 22, will serve beer only with its gourmet, customizable burgers. Customers who purchase a “Signature Burger” can swap out the normal soft drink with a beer for a small upgrade charge. Beers are limited to one per burger, so not exactly an effective way to get drunk. The “Signature Burger”, which McDonald’s already sells at its 20 other premium locations throughout the country, allows customers to build their own burger by choosing their favorite ingredients for around 7,000 Korean Won (US $6). According to Pulse, an Engligh-language daily in South Korea, the move was made to woo younger customers to its restaurants as the number of teenage customers eating at the fast-food chain has declined sharply. The legal drinking age in South Korea, by the way, is 19. 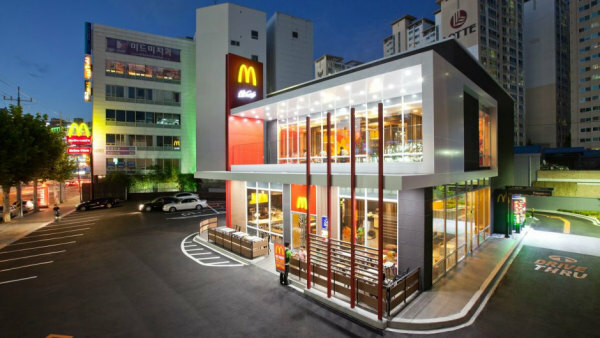 If proven successful, McDonald’s says intends to unveil similar stores in Gangnam and Sinchon, areas popular with the young crown in Seoul. The world’s largest restaurant chain has been experimenting with formats all around the world as of late, likely in response to the increasing popularity of higher-end burger chains like Shake Shack and Five Guys. Last October, the company introduced all-day breakfast in the U.S., which drove same-store sales up 5.7 percent in the fourth quarter. The month before that, it announced it would transition its U.S. and Canadian egg supply to cage-free eggsover the next 10 years. South Koreans have long been known to love their spirits. A 2014 Study by EuroMonitor found that South Koreans consume more alcohol per week than people in any other country — putting even Russia to shame. The study found South Koreans consume nearly 14 shots of alcohol per week — four times more than Americans who averaged about 3 shots a week.